Elegant and Custom: Come Find What Fits You. Established in 1969, Vista Dinettes is a third-generation business serving our valued customers with exceptional service and the finest quality furniture at unbeatable prices. 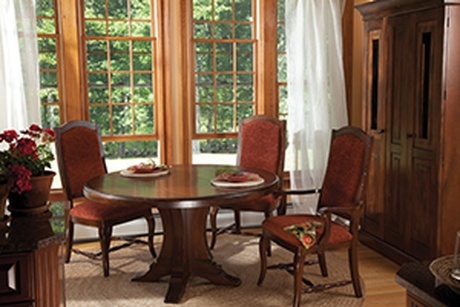 Our spacious showroom features over 100 dinette sets of various styles and sizes, which can be customized. Delivery and white glove set up is available upon request. At Vista Dinettes our “no pressure” sales staff is happy to answer all your questions and assist you in designing your space to your specific needs. Let us help you create the perfect setting for your lifestyle. We specialize in custom dinette sets, kitchen chairs, bar/counter stools, dining room tables, kitchen islands, and buffet servers. Picking furniture shouldn’t just be about the cost – after all, you want to be sure that you’re making an investment that will last. That said, being able to buy high-quality pieces at affordable prices is ultimately the best of both worlds. Vista Dinettes strives to provide an unparalleled selection that caters to every homeowner. Whether you’re a first-time home buyer who wants to be ready for that house warming party or you’re ready to build the kitchen of your dreams, we’re here to make sure that you have what you need. Whatever your home’s particular layout may be, you can be sure that we’ll have a dinette set that will suit your stylistic preferences and needs. Expecting guests, but not sure what to do about the food? By purchasing one of our islands or servers, you’ll be fully prepared to handle gatherings of all sizes. © 2019, Vista Dinettes. All Rights Reserved.